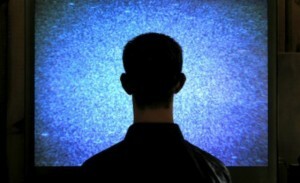 Home » Blog » Troubleshooting: Why don’t I have a picture on my TV? Troubleshooting: Why don’t I have a picture on my TV? One of the most common and frustrating problems with an AV system occurs when there is no picture when you turn it on. We frequently get calls with this problem and will share some advice on how to quickly troubleshoot, resolve, or at least diagnose that you need your AV dealers help. The first thing to determine is if everything it turned on. Make sure the TV, cable or satellite box, and the AV receiver or sound bar are all turned on. Don’t forget, you can simply press the power buttons on the component (TV, cable box, etc.) if you have a hard time with the remote controls. Once you are sure everything is turned on, try to play something other than the cable or satellite broadcast by switching to another AV source. That could be a DVD player, the Smartv capability if your TV supports it, or a streaming source like a Roku box or AppleTV. If there is still no picture when using devices other than the cable/satellite system, you will need to call your AV dealer, as there are several possible diagnoses for this problem. If the problem is only with the cable or satellite system, try unplugging/plugging in the box (i.e., power cycling the unit). This solves 80+ percent of the no picture/no sound problems when it is clearly just the TV service that is out. If power cycling the unit doesn’t solve the problem, call your cable or satellite operator to see if there is an outage, and/or if they can diagnose/solve the problem remotely. If the TV provider can’t resolve it remotely, they may schedule a service call. We always ask our customers to let us know when you schedule service from your provider, as we like to check up and make sure the problem is resolved and the system is setup correctly after any changes they might make.